Alton Towers - Visitors from abroad? I don't know how many people are from the UK on this forum and how many aren't other than that I live in New York. I am currently planning a trip to Alton Towers for my birthday in October on the 19th. If anyone has tips or anything of the sorts then please put them under this topic. Re: Alton Towers - Visitors from abroad? That's a Scarefest date! 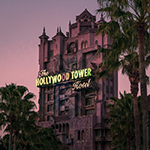 One of the best times of year to visit the park - park is open 10am-9pm and there'll be mazes, roaming actors and (possibly) scare zones to enjoy as well as the rides. You may want to consider some fast tracks though if you've only got one day as it's a Saturday - we all visited as a group on the equivalent date last year and it was EXTREMELY busy. The first couple of hours (10-12) aren't too bad however, so that's the best time to do all the coasters before the crowds arrive. Thanks for the tips, I'll be sure to consider the FastTrack although I might be going from the 19th of October until Halloween. I'm from the UK but what I would say is that Towers isn't the easiest park to access via public transport and it will involve getting a taxi at some point. The nearest airport is probably East Midlands but it's still a good 40 min drive from there to the park. Hiring a car maybe the better option depending on how confident you feel doing that. I think it would also depend on where you are staying as even if you are staying in Alton Village it can be a little tricky to get up to towers. Finally, as it's Scarefest, if you fancy doing the mazes they are a little different to how they work elsewhere as you need a ticket to do them. Theses can be purchased closer to the time but it's worth noting.